We have created a travel team together with other interesting individuals with very unique and different backgrounds. Some of us are joining this adventure with further purposes about a very exciting project idea. Our Guide We will be guided by Nicolas Prassinos. 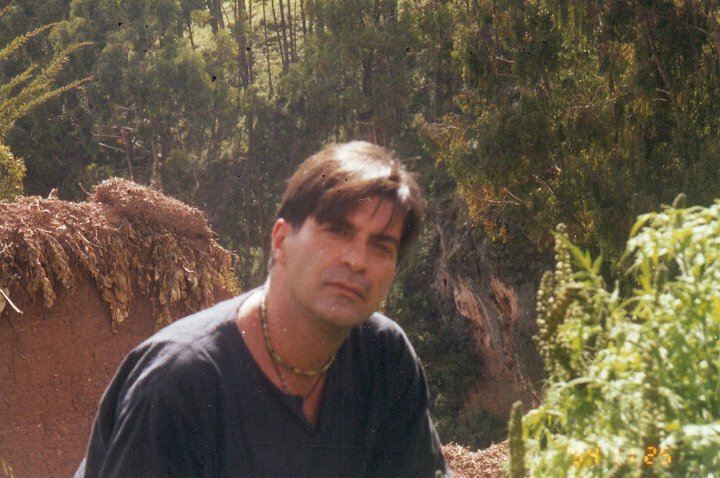 Originally from Greece, Nicolas has more than 20 years of experience as a scout guided by ancient traditions, cultures, histories and literature books. He has participated in various rituals and ceremonies of ancient Amazonian tribes and mestizo, thus etno botanical study of medicinal plants experiencing the use that natives gave to each plant, listening to various legends, myths and stories related to healing and learning about universal life sources. After having documented these experiences, he has collected many natural sources and great knowledge that can serve in conjunction with the Western life. He has studied the Toltec and Aztec´s traditions and has experienced them in New Mexico and Mexico. Nicolas has been teaching exchange students about ecotourism in the Amazon and the use of botanical medicine, study and research of plants, traditional lineages, sacred travels and ceremonial rites, with focus on the Amazon rain forest and Andean culture and the preservation of natural resources, knowledge, indigenous and sacred forms through increased awareness and education of people around the world of these goods and invaluable resources that Peru has to offer. He has also been a representative of the University of Natural and Integrative Medicine of New Mexico as an emissary for initiating communication and negotiation for collaboration and development of affiliations in the organization of cultural anthropology. 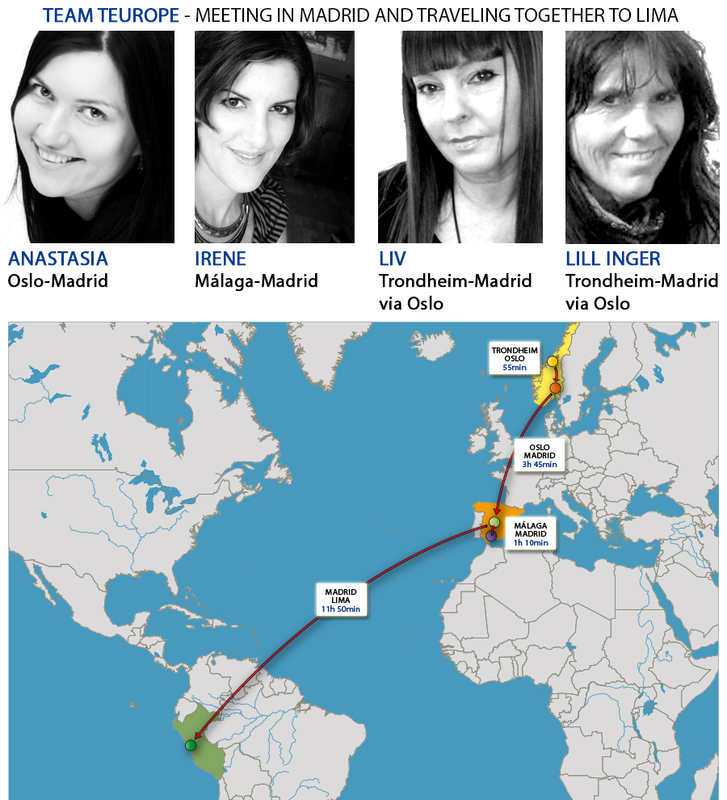 Team Europe will be traveling from: Málaga (Spain), Trondheim, Oslo (Norway) and meeting in Madrid to take a flight to Lima together on the 30th of September 2015 and back on October 20th. 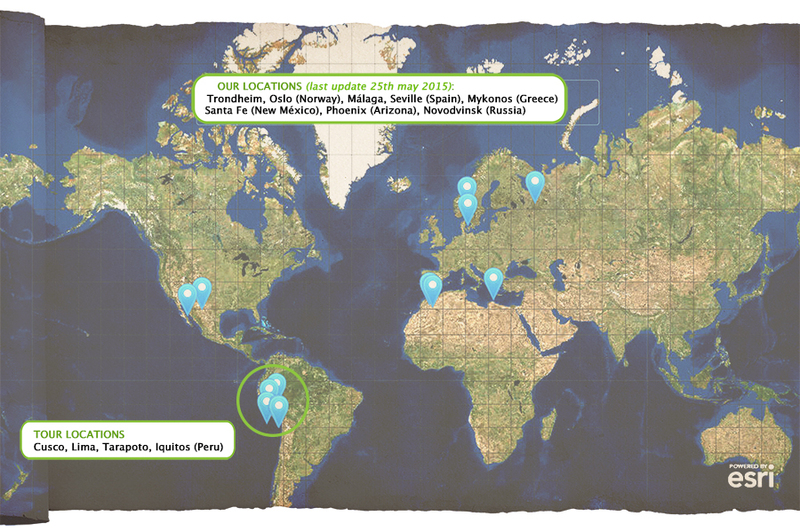 Team US will be traveling to Cusco from Santa Fe (New Mexico), Phoenix (Arizona) – Lima (Peru). Members from Team Peru will be waiting for Team Europe in Lima, then meeting together with Team US in Cusco, Tarapoto and Iquitos. Witoto tribe is in a close distance from Iquitos along with the tribe of Boras. Originally, these tribes are from Colombia but with the time they had retrieved close to the area of Iquitos. They are famous for the coca ceremony and rituals. There are many different clans and lineage within the structural association of them. They go by the names of a tree or a fruit or an animal which denote the functions and elements which are involved. Boras are the tribe next to the Witotos and they are the left overs of the real ones in Colombia. Those are friends with Nicolas and he will ask them to do a coca ceremony for us, so that we could tape it and film it. Meeting: We will meet the old Shaman couple Cérsar Cupay and Margarita Cupay. Los Chancas were warriors which in Lamas were maybe the only tribe who fought for freedom from the Incas (they try to conquer them unsuccessfully). Meeting: We will meet Frédérique from Sachamama art center. Quechua community/ethnic group in the province of Paucartambo. They are the last remaining Inca, having fled to the high Andes when the Conquistadores invaded Perú in the mid 1500s. Meeting: Juan Quispe Machaca, one of the Q´ros´s more respected elders of the ancient Inca tradition. Tribes and shaman communities have, through the years, become a touristic attraction, which has turned traditions into a business that is damaging the culture and the path of the shamans. We would like to point that our will is to discover, join, understand and support these ancient traditions so that the knowledge and power of the shamans and local tribes can be saved and therefor transmited to the new generations with honesty, wisdom and love. We keep no expectations no to get excited by them, in order to follow our hearts and intuition when encountering these tribes and while experiencing these rituals. Nicolas is going to be there one month in advance in order to prepare the whole trip and agree with the locals about recording/filming,etc. The person who is filming have to be straight in clarity because the plant have an influence of 5 to 7 hours in visions. 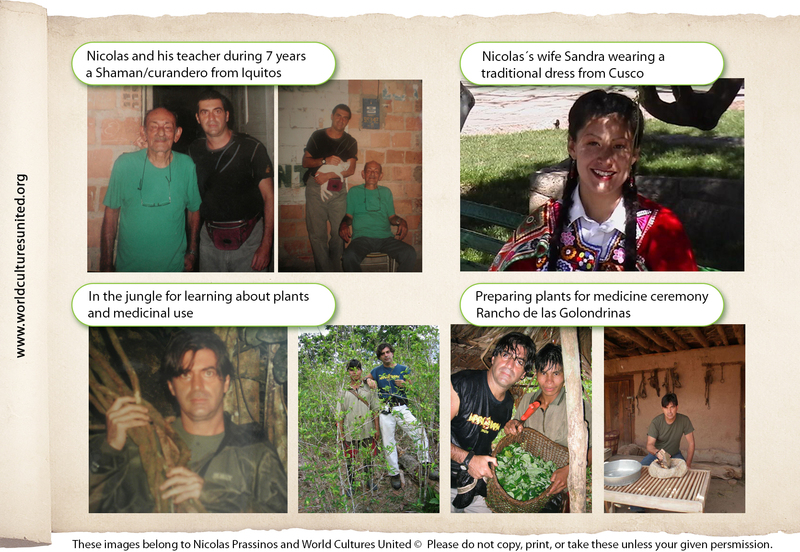 Nicolas will wait for us in Tarapoto and will ask about doing video/photo/recordings of the whole preparations with the plants previous to the rituals (plants have to be boiled for at least a day). Icaros, the medicine songs and mantras are performed during the medicine rituals only. The songs use instruments of the inner and outer worlds and dimensions. The songs of the medicinal rituals are amazing, like never heard before are incredibly speaking directly to the soul. There are the only means of understanding and perceive, as well as healing sounds. Each one carries a vibration – melody which is corresponding to particular events and bring healing to certain life events for each person visioning and experiencing the ritual. Listen to Ayahuasca songs here. The plants we are going to learn about during the rituals are Banisteriopsis caaapi (one of the main ingredients in Ayahuasca) and Psychotria viridis (Chacruna/Chacrona in Quechua language).